Home / What AGEs us? 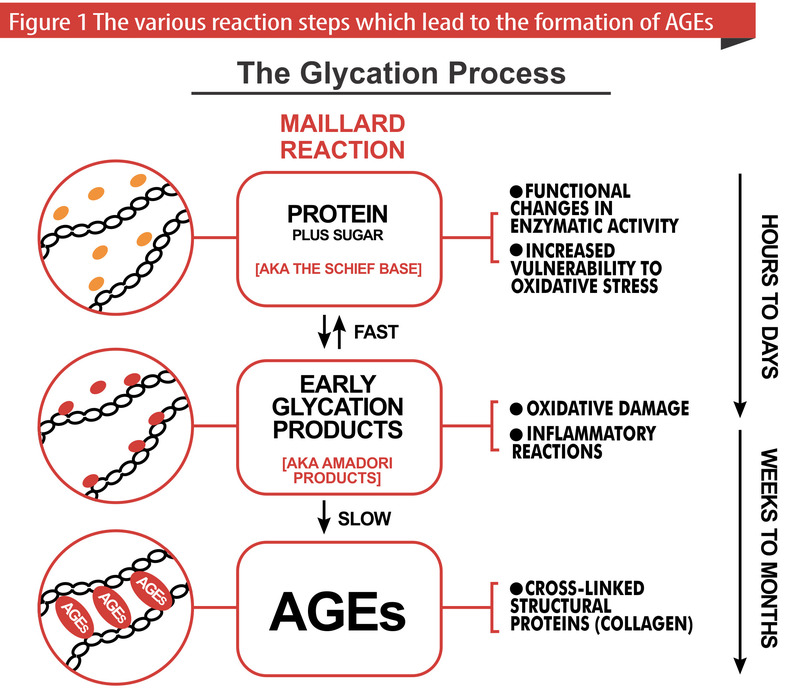 AGE stands for Advanced Glycation End Products and are also known as glycotoxins. The process of creating these harmful compounds is often referred to as glycosylation. AGEs cause oxidant reactions that can damage normal proteins, tissues and cells. A common oxidant reaction you may recognize is when you cut an apple in half and let it sit for a few hours. The apple turns brown due to oxidation. In addition to promoting oxidative stress, AGEs cause inflammation by binding with cell surface receptors and cross-linking with body proteins, altering their structure and function. This is especially problematic because when proteins are damaged in this way, they can no longer work as designed. Since the activity of proteins relate to thousands of body processes, this wreaks havoc with normal health and function. Another factor causing AGE production in our bodies, are the types of foods we eat and even how they are prepared. Certain foods other than sugars cause much greater production of these damaging compounds. The highest food by far is fried bacon. For a complete list of these foods and their ratings for AGE production, see http://www.wellnessdoc.com/educational-portal/ , then select the folder titled Food, the Good the Bad and the Ugly. There are other things that can be done to reduce the production of AGEs when cooking. Some of those include curcumin from turmeric, garlic, onions, certain spices like rosemary and thyme, lemon juice and flavonoids. Flavonoids are a group of phytonutrients often found in the pigments in a wide range of plant sources including berries, tea, citrus, bell peppers, fruits and greens. Preparing foods, especially meats at high temperatures also contribute to this phenomenon. Therefore, it’s better to cook meats slowly at lower temperatures and combine the meal with the aforementioned foods.